Almost 2 years ago a reader, Paula C., wrote to ask advice about making a coat out of a blanket. She was planning on using an acrylic sweater knit blanket to make a sweater knit coat. I gave advice on the perils of working with acrylic and suggested a pattern. What I never suggested was a complete pattern layout. Reinforced by the oodles of fun I had sewing my poncho a couple of weeks ago, I've moved on to dreaming about a coat with the same very pretty cotton cable fabric I have in the shop now (sold out), blankets from the local knitting mill that were never finished. The diagram above is to scale. When at its full size (click to enlarge), 10 pixels are equal to 1 inch. The blanket is approximately 52 inches wide and 62.5 inches long. 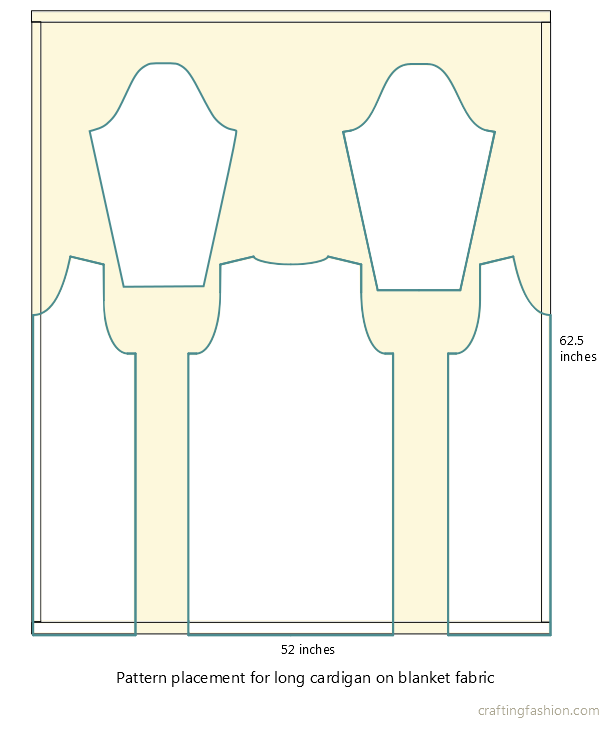 Allowing for half inch seam allowances, the coat in the diagram is 37 inches long with a finished garment bust/hip measurement of 39 inches. The sleeves are about 22 inches long. The front opening and hem would already be finished using this layout. The bottoms of the sleeves would need to be finished however -- a hem perhaps, or I could use the remaining selvage fabric as a binding. With this layout, this blanket would also accommodate a wider and longer sweater. If I were to start with a sewing pattern, such as the Named Clothing's Esme Maxi Cardigan, I might cut out the front this way, instead of whatever's suggested. This way I could use the blanket edge for both the front and back neckline. The band would connect at the center back. (ETA A mockup of this neckline and a variation have been completed. Please see Blanket to Coat - Part 3.) 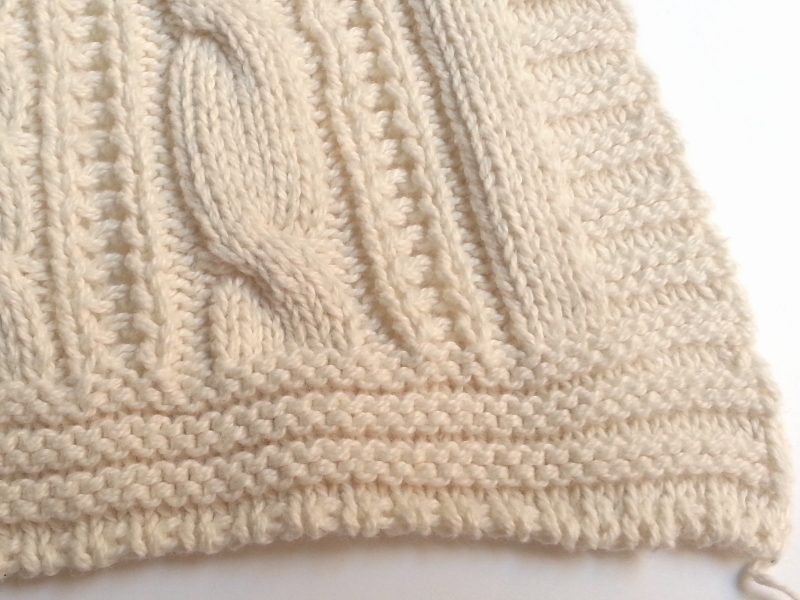 When I was machine knitting full fashion cardigans, I once knitted a continuous front band and neck band this way. It worked well in that particular situation. ETA Blanket to Coat - Part 3 is now posted.